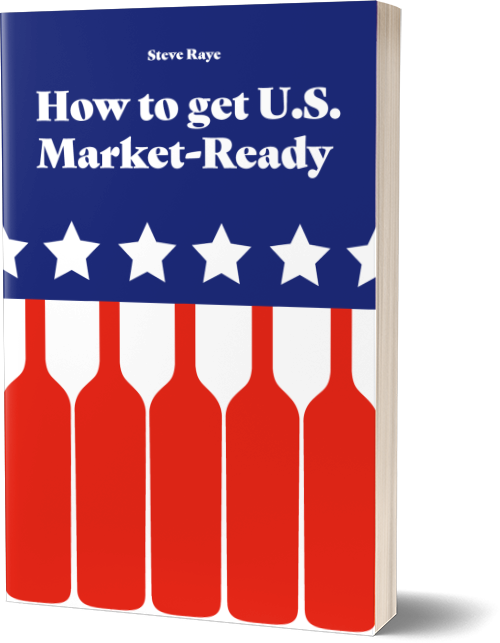 Steve Raye created his company to address the specific needs of wine and spirits brands that are trying to enter the U.S. market. After more than two decades of experience in the drinks industry, in both large corporate and small agency settings, he decided to break with tradition and put his own vision into practice. That vision, quite simply, is to listen to each client's needs and come up with creative, innovative ideas that find customized solutions for U.S. market entry. Three things separate Steve, and Bevology Inc., from others: 1) a passionate belief that educating clients is the best way to help them be successful navigating the complexities of the U.S Drinks market; 2) his “make things happen” attitude and belief that patience is a waste of time; and 3) that a practical sales strategy is a critical component for successful market entry. Steve is a recognized thought leader who writes and speaks on the issues driving the American beverage alcohol market. He has presented at Vinitaly, Vinexpo, Wine2Wine, WSWA, U.S. Drinks Conference, Tales of the Cocktail, London Wine Fair, Vino 2009 through 2016, and guest-lectures at Bologna Business School and Cornell University. In addition to his popular industry blog, “OH-pinions” he has written for Meininger's Wine Business, Drinks International, Wine Meridian and other international industry publications. Steve is a consultant to Vinitaly and Vinexpo New York, and has managed U.S. trade PR for ProWein. He has also worked with WSWA (Wine and Spirits Wholesalers of America) to put on the Beverage Alcohol Forum at their annual convention. Steve's experience in the drinks industry began with Diageo where he managed Smirnoff and Finlandia vodkas and worked on the Palace Brands imported wine portfolio. More recently he was co-founder of Brand Action Team, an advertising and PR agency for the drinks industry. 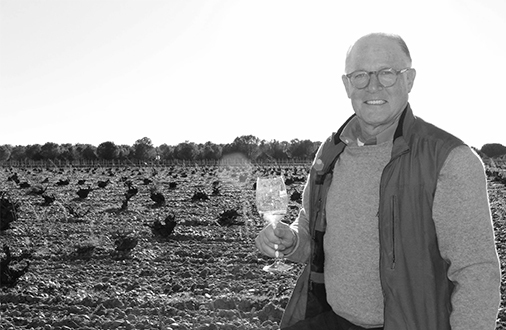 Wine: Generics Steve has worked with include Tejo Portugal, Wines from Spain, Italian Trade Agency, Ribera del Duero/Rueda, Austrian Wine Marketing Board, Wines of Chile and Wine Australia. Brand clients include McWilliam’s and McGuigan from Australia, Vallformosa Cava from Spain and Hugo Casanova wines from Chile, as well as the entire Pernod Ricard international spirits and wine portfolio. Spirits: Steve directed the launch, design and execution for Pisco Portón from Peru, Singani 63 from Bolivia, and Fuzzy's Vodka (golfer Fuzzy Zoeller). Most recently he's worked with Chapel Gate’s new Irish Whiskies just launching in America. Other brands include Chivas Regal, Kahlua, and Beefeater. My wife and I were vacationing in Italy, straying from the beaten path as we love to do, and stopped in a little restaurant for dinner. The décor was faded pictures tacked on the walls, mismatched chairs and cheap paper napkins, but the food smelled great. No one spoke English, so I defaulted ordering in my best Spanish (hey, it was the closest to Italian I could get.) I ordered a special bottle of red I knew. The wine was fantastic; after all, we were in Italy, on the trip of our dreams, how could it be anything else? There were two older Italian gentlemen sitting nearby and were clearly not impressed by us or our wine selection. We were Americans intruding in their neighborhood restaurant, spoke lousy Spanish in Italy, and couldn't even order a decent bottle of wine. 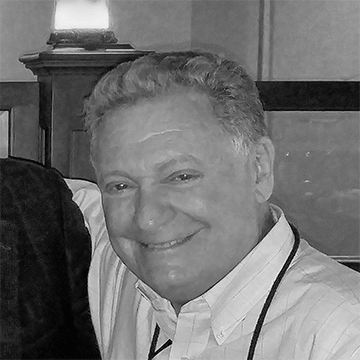 Howard Bernstein is a wine and spirits industry senior executive with extensive experience managing sales for distributors, importers and suppliers. Most recently Howard was DVP for Imperial Brands' sales of Sobieski, the fastest growing imported vodka brand in the history of the industry. Prior to that, he was responsible for expanding the portfolio and sales force at Premier Wines and Spirits distributors (Bacardi, Gallo, Cavit) in New York, which resulted in a five-fold increase in on-premise sales. Howard helped create and manage the on-premise division of Southern Wine and Spirits/Miami, the largest wine and spirits distributor in the United States. He has also been president of two boutique import companies with proven expertise in supplier relations and building distribution networks. He has held executive sales positions with Palm Bay Imports and Palace Brands Company (Heublein/Diageo) where he managed National Accounts and was the National Director of On-premise sales. Howard has also has created highly successful, industry-changing marketing programs in several categories: Finlandia fruit Infusions, the Classic Malts of Scotland program adopted by UDV/Diageo, and a frozen drink dispenser which helped drive Jägermeister to become an on-premise juggernaut. Bevology Inc.'s "Market Ready" service combines Howard's sales expertise with Steve's marketing acumen. Steve and Howard love nothing better than the challenge of bringing their collective knowledge and experiences together to create innovative solutions to meet the individual needs of each exporter. Then, drawing on Steve's industry-wide reputation and Howard's solid relationships with key distributors and retailers around the USA, they turn those plans into actions that deliver clients' products into the hands--and mouths--of the American consumer. Steve's and Howard's careers have crossed paths and intersected several times over the years. As their mutual respect and admiration grew, their working relationship turned into a friendship that has led naturally to this exciting new collaboration.